Amity is the single platform for managing the entire SaaS customer lifecycle. With the ability to track customer engagement and proactively manage customer value, you succeed in all three-core stages: Get Customers, Keep Customers, and Grow Customers. "Monitoring health, actions, tasks and interactions in one place"
We can easily get an overview of what are customers and users are doing and not doing, hence enabling us to take action and reach out to customers when needed. Also being able to track what has been done and what's coming up in an easy task management system helps us to ensure that we're on top of things. The support during the set up has also been immensely helpful, with our CSM helping us all the way and supporting us properly throughout the process. The most tricky part for us has been setting up the health score, but that's partly due to our own business model. For us Amity helps to keep track of what are customers and users are doing in a way that we wouldn't have been able to track without the tool (or it would have taken us ages to do it manually). This saves us a lot of time and we have a tool where both CS and sales can be active sharing notes and customer data. We also share this information with our customers, showing them that we have their back and that we can be proactive in supporting them - an add-on to our own offering. Amity enables my Customer Success team to work more efficiently. Actions, created automatically based on customer health triggers, keep the CSMs on track and focused on the customers which need more attention at that moment. Other cadence tasks are always in rotation so the CSMs can work on everything for all customers in one place, based in tiering, timing, and lifecycle. Amity is relatively easy to configure and works seamlessly. Their Customer Service - particularly Louise Philp - is the most knowledgable and helpful customer service I've ever experienced. She has made the software a success at our company and we are meeting our intended goals. From one of my CSMs: "So helpful to have a global view that consolidates all the data from our customer related apps." From another CSM: "Helps keep me on track; lets me know which clients need more attention." The interface can be a little confusing at times, the visuals could be a little more distinct (too much white-on-white), and it took me a little time to understand "Customer ACTIVITY" versus "CSM Engagement". I would say the interface could be simpler and more straight-forward, but I'm not sure if that's actually possible with all of the current features it offers. The complete picture of the customer is now in our hands. We previously had pieces of it in many different places in many different software programs, and a lot of it was missing. Everything is now pulled together in Amity, CSM engagement is trackable and coachable, customer activity is trackable, and everything relates to each other. There is a lot of automation which helps us keep track of everything and work smarter. "Executive Director of Client Experience"
Amity is a great platform that combines ease of use, and great functionality. The integrations allow you to collect insights from your clients from virtually all common platforms. The app allows for enough customizations to fit your process, without being so burdensome that it requires months to implement. You'll get an ROI very quickly from Amity, by simply being aware of the status of all your clients at a glance, and helping mitigate churn before it happens. The reporting sections can benefit from increased functionality. Editing account fields could be easier to do in-line in the grid view, rather than having to access the account record. 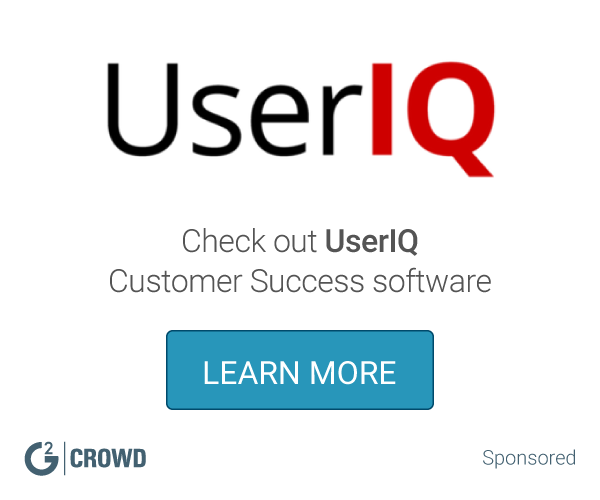 If you have yet to start using a Customer Success platform, make the move. You won't regret it. Amity allowed me to organize all of my account information in one place, to get a 360 view of our cutomer phase, and to allow for triggers that the CSM's can use to track customer health. Amity has given me a way to structure the CSM team, and ensure they are being proactive with the use the Plays functionality. The reporting is also valuable to me, as I need to be aware of our account health, feature usage, and CSM activity at a high-level. After implementing Amity, I feel like I have my finger on the pulse in terms of the customer base. Answers to common questions are a few clicks away, including outward looking questions like "what's the account health for renewals happening next quarter" to "how many accounts were engaged in the last month". The ability to pull in multiple sources of data into one place and create reports and automation based on preset criteria. It also gives the team one place to track all of our accounts, notes, next steps, etc that can be shared across cross functional teams. I wish there was a way for users to be able to create more of our own reports/updates. Many changes require the Amity team to complete, which creates a bit of a waiting period and at times a lot of back and forth while you're experimenting with different options to find the one that will work best. We have reduced/eliminated the need to access multiple different tools in order to put together a single customer picture. 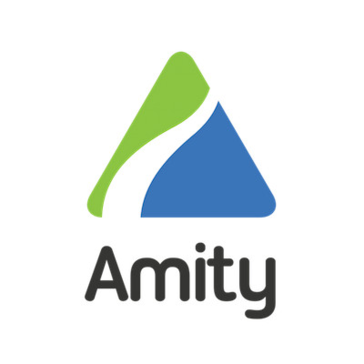 Amity has also allowed us to reduce the amount of instances where we need to provide manual information to cross functional teams who didn't have access to the various applications we track customer data in, as they are now able to login and access all of the data directly as well as through reports syncing to Salesforce. "Adds tons of value, easy to use and awesome service"
We implemented Amity almost immediately after our product was launched, and retrospectively, it would have probably been better for us to wait for our product to be a little bit more mature. In the early days, our product changed a lot, and as a result, we changed the integration from our product to Amity multiple times. The Amity team were incredibly gracious and patient, and accommodated all our requests. Amity has helped us understand our customers in ways we weren't able to before, and is key in making it possible for us to rapidly acquire many new customers, without having to compromise on delivering a great customer experience, and without having to scale our team up to the small army that we would have otherwise needed to hire. Amity helps us know where to focus our efforts, deliver the right messages at the right time to the right customer, coordinate our efforts better as a team, and improve our product. "Amity exceeds expectation on service, functionality and overall experience." Extremely valuable in supporting our growing organization, customer base and Customer Success team. It provides a window for the entire company into the health of each customer with a view of recent activity, next steps, lifecycle stage, engagements, and much more at a glance on configurable Dashboard. Reports are flexible and you can build out any data you want in a view. Valuable configured reports include Living NPS and Total Upsell. Simple to implement and train staff to use. Met all my integration needs pulling from other systems to one place for an easy quick view of critical customer information. It is an excellent customer management tool but it would be great if it could help us manage Upsell/Opportunities that our CS team generate. Amity did help setup a workflow to enter an opportunity for a customer through stages. It would be good to improve on this functionality allowing multiple opportunity entries per customer. Tracking our customer journey, managing daily CS tasks and being proactive with customers at risk is simplified with Amity’s playbooks. Task creation is automated by Playbook stages. Scheduling or creating a task manually is simple and helps the team manage each customer’s journey from kickoff, through onboarding and ongoing engagements. Amity allows our CS team to stay on track with daily work and not miss critical due dates. Business rules trigger health concerns like too many support tickets, no support tickets or engagement for a specific period-of-time as well as a poor NPS response. These health settings and notifications are extremely valuable in managing risk levels and setting plays to retain customers. "A turnpoint in Customer Success operation"
In one hand It´s is possible to create "Views" with a bunch of filters, but on the other hand to create more advanced reports it makes necessary request it to Amity team because it is a third part software integrated to Amity interface with no access to Amity clients. Before choose a Customer Success solution, be sure that you know exactly what you need to run your business strategy and to provide the best experience to your customers. - With Amity integrations the CS team does not use any other software / spreadsheet. All the customers info is in the same place. It´s easy to find any customer information in a second. - Extracting reports is now a easy task for all the team, and it helpped to understand some customers characteristics and behavior. - Automation! A lot of them! "Amity is a lifesaver! " Our Customer Success team lives in Amity. Having a view of all of our accounts in one place that outlines their health, MRR, engagements, and more has made our team much more efficient and informed. The onboarding process was exceptional—their team is very knowledgeable and they worked with us to make sure everything was set up to fit our specific needs. Now that everything is set up and running smoothly, we have a dedicated CSM who is always there to answer any questions we have. Our subscription information can be a bit complex so it was a bit difficult to port over to Amity; however, their team helped us get everything set up correctly. Make sure to take advantage of all of the automation options Amity has to offer! Our biggest problem before Amity was the lack of insight into account health. Checking up on this was a time consuming and extremely manual process. Since we've implemented the software, we now have much more insight into our accounts and we are able to more strategically address any issues we see before they become major problems. "Finding a Single Source of Truth"
The ability to integrate our product usage into Amity has allowed us to use the platform as our consistent source of truth about all things related to our clients: health, insights, user behavior and usage, contracts, subscriptions, everything we need and want to know about our clients! SaaS subscriptions can sometimes be difficult in terms of clean revenue attribution, and even more difficult to use to garner meaningful data about where up-sell or churn possibilities exist. I'd love to see more robust reporting for revenue. We're able to quickly identify problem accounts and outliers in an effort to mitigate churn or negative engagement with our products and team. Beyond that, we've also been able to more easily aggregate information across our accounts to find meaningful trends we can surface to the Product organization. "A Centralized Hub for all of Your User & Client Information"
Amity makes it so much easier to store and organize the meticulous details for each and every user who is connected to our platform. We leverage Amity's simple interface to create a centralized hub which we use to facilitate collaboration throughout the entire company. It also allows anyone, from the CEO to the Customer Success Manager, to "peek" in and see what is going on with an account and/or an individual user. With the help of Amity, we were able to gain useful insights that were not visible prior to using this robust software. The incredibly friendly team at Amity have continually helped us enlist the software in more (and more) ways in order to help us visualize the behavior patterns of our users, and measure activities so that we can build better and more accurate early warning systems based on month-over-month usage. We employ Amity as our main solution to help every Agent share engagement notes. Amity makes it easy and efficient for us all, and our next focus is to better utilize the amazing analytics and reports as well as the templates for automating our touchpoints throughout each Client's journey. Sometimes we run into some tricky issues that need the help of support, but Amity’s incredible team (Louise and support) have ensured that all of them get resolved, even if creative solutions are necessary! Use the weekly check-ins and engagement tracking on Google Sheets to move requests along more efficiently. Not only does it help us track user behavior, but it has also helped us develop an early warning system for reducing churn. Amity has provided us with more detailed and controlled views where we can apply filters based on account insights. It also gives us the ability to create playbooks from the moment an account is created, as well as action-based triggers in order to better engage clients at exactly the right time. We continue to find more ways every month to leverage Amity as a customer relationship tool. 1) Managing our days: firefighting, CSM team cadence management, inbox management, reactive workflows. 2) Managing each month: Overall governance, reporting, discovering and implementing proactive workflows. Very powerful and flexible, but easy to get started. Helpful, responsive and friendly support. Very little. The UI could be prettier, but is easy to read and perfectly functional. If it's going to be your first CS platform, then you'll have quite a bit of work to do that isn't about the product itself, and just about how you will define things like health or plays. Don't forget that! Managing an expanding portfolio of clients and managing the churn risks and expansion opportunities. We've been able to consolidate all the useful information from about 6 platforms into one place and then generate useful insights in the customer's usage of our product and the health of each customer to then drive action. The creation of structured playbooks has been invaluable as we've grown, making sure the team is consistent in they way they work. I love how Amity allows us to store all of the relevant account information in one place. It's one stop shopping to see when an account is up for renewal, who the buyer is, what the current health status of the account is, and more! We are even able to keep track of individual account manager interactions with the people of each account. There have been a few hiccups in getting some of our integrations setup with Amity but our Amity customer service representative has been working with us to resolve. Identify where you can integrate Amity with your other applications. This is where we have found a number of efficiencies. Amity helps us consolidate information and store in one place for visibility across our own organization. Instead of looking for information in 6 different places its all stored in Amity. This has saved us time. "A great Customer Success tool"
Ease of use and very flexible reporting function. The Amity team has been great to guide and support us in the onboarding process. UI can look a bit "under development" at times, but nothing that affects usage. Can highly recommend Amity as a simple platform to cover majority of CS requirements in an early stage. Provides an overview of our customers' health status, as well as proactive notifications when this detoriates. The reports are used in QBRs with our customers to address issues. "Excellent Customer Care/Very Customizable Product "
- It's very user friendly. I love the interface - great customizability. Awesome customer success and support. The implementation process could perhaps be shorter, but it makes sense given the customizable nature of the product. - It allows us to quickly generate customizable reports, both for internal use and for client reviews. It allows us to more easily track usage in a uniform manner, and respond proactively. Amity offers a customizable approach to managing the customer lifecycle which is perfect considering our use case. The ability to effectively manage tasks among various CSMs and plays (or pen test projects) with Amity is better than we were able to do with a couple of the big names in CSM platforms. We've only integrated with Salesforce and Intercom so far and haven't run into any issues. Amity checked all of the boxes and has helped our CS Team have visibility into important tasks that need to be completed so we can all ensure we are keeping our customers on schedule together. I love that you're able to see everything in one system! I can check accounts, customers associated with those accounts and even track their activities. It makes my job in customer success so much easier! The only thing that I disliked was that it could be confusing setting up rules for automation. We've been able to save some accounts that were close to churning because we were able to see what was going on with lack of activity. We were able to reach out to them well in advance to help.
" I like the interface.It is easy to use and adapts to the daily needs." Among all the CSM software I evaluated, it was the one that most answered my daily needs. It is focused on small and medium-sized companies, and should not be compared to Gainsight or Totango, for example. Very easy and simple to set up and use, all in a simple graphical way. It is not released for the user to create their own reports via the interface, but can through SQL if they can. Another point is that the team appears to be small and the responses take a little while. Organization of information about our customers. Before they were divided into various software, all without connectivity and interaction. "It's ok, but with some issues"
You can keep track of your client's health and engagement and it's really useful to know the MRR by the Chargify integrations. In two opportunities, the solution arrived after a week, and only after we asked about the pending ticket. We also received a past due notification, when we pay automatically by credit card. We depend on the Amity team for almost every configuration. I don't find it intuitive, or self-manageable. MRR, the client's goal, the client's health, engagement...all in one place. No support for multi-currency. We are a multi-national company. * We monitor all Amity reviews to prevent fraudulent reviews and keep review quality high. We do not post reviews by company employees or direct competitors. Validated reviews require the user to submit a screenshot of the product containing their user ID, in order to verify a user is an actual user of the product. Hi there! Are you looking to implement a solution like Amity?